If your dream is an exotic vacation for this summer, on the beach, but you also want something more, our deal hunters have a great hotel for you. The Sandos Caracol Eco Resort is on sale now and you can book it from $114 a night on select dates through late August and save 40% off average rates. 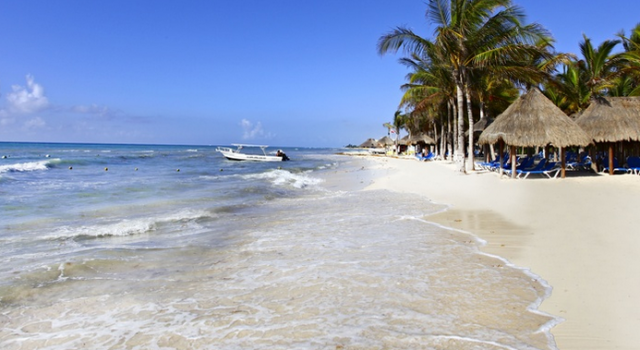 The resort is only steps away from the beach and just outside of Playa del Carmen, only 15 minutes away from the city center. You will also find two golf courses and many city attractions near Sandos Caracol Eco Resort. There are three distinct sections in the eco resort, all with their own accommodations and amenities, one for families, one for adults only and one for Royal Elite guests. 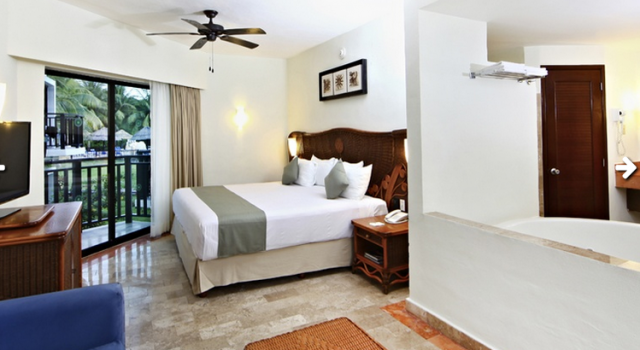 They might differ in some ways, but all accommodations at Sandos Caracol Eco Resort have a king or two double beds, flat panel TV with cable channels, iron with board, laptop size safe, radio alarm clock, mini bar, air conditioning and private balcony or terrace. 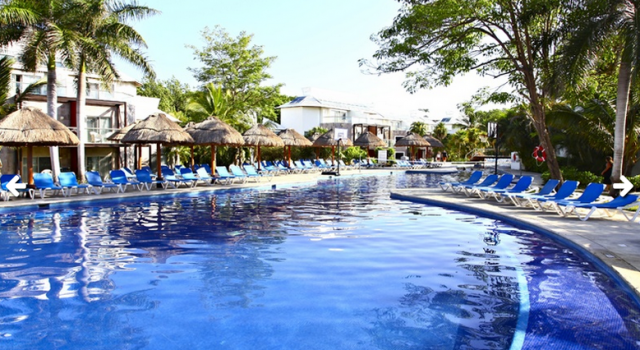 At the family section of Sandos Caracol you will find an aqua park the whole family will love. It has got 17 water slides, splash areas and other fun features. There is also a kid’s club here with lots of games and activities for ages 4 to 12 and a series of eco activities for the family including river rides, jungle trekking and swimming in the cenote. 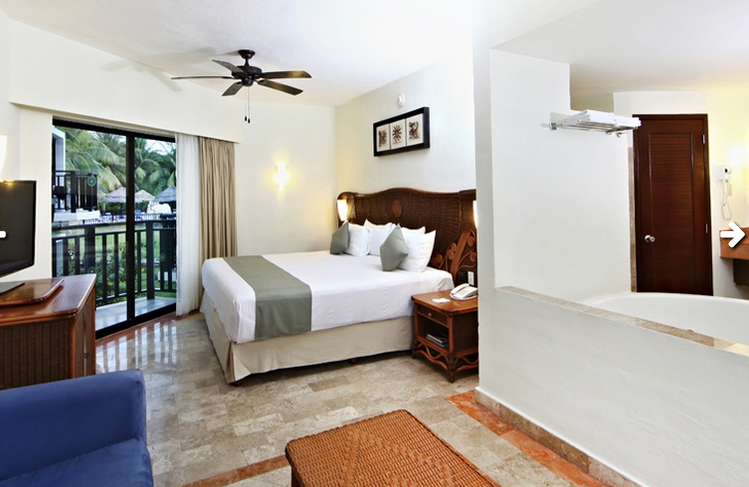 Guest rooms of the adults only area are secluded and surrounded by the jungle. You will find a private pool and jacuzzi here with sundeck as well as a private concierge with bar, hammocks and lounge chairs. 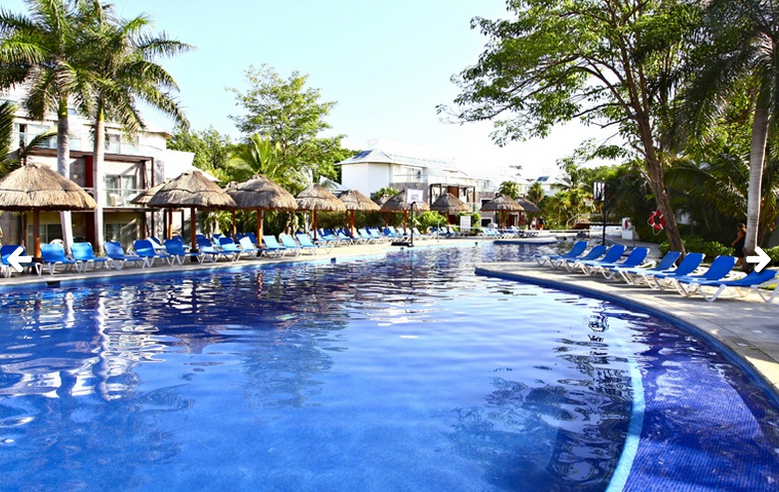 The Royal Elite section of Sandos Caracol Eco Resort features the most eco efficient accommodations, free Wi-fi, an infinity pool and swim up bar. Need more offers to be able to decide? Do a quick research in the box below and see dozens of hotels on sale in the area by choosing the merchants you trust and comparing their prices. Pick the offer that suits you best and start packing.